Does this describe your life? There are times that it describes mine. If I don’t take a break to figure out where my decisions are taking me and determine if that’s where I want to go, I’m looking for trouble. I’d like to describe myself as prudent so God is reminding me to be thoughtful about my journey in order to avoid the dangers. 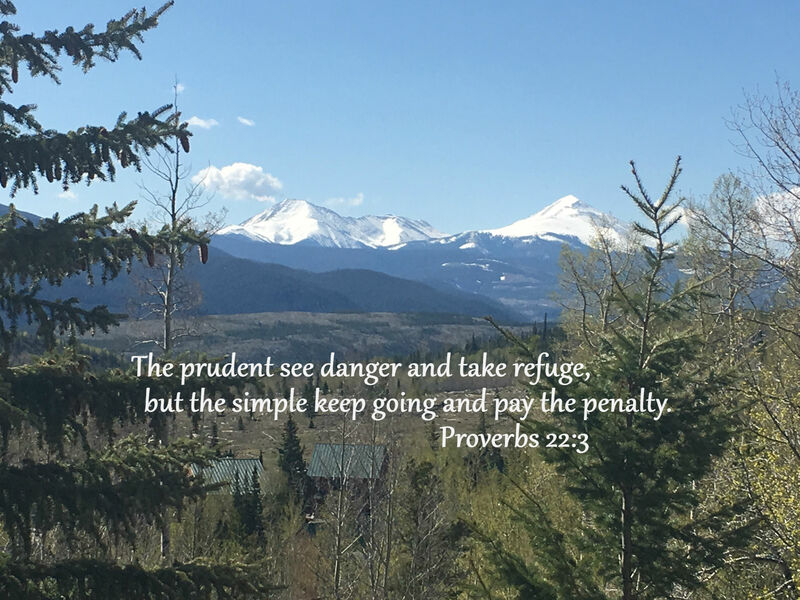 When I see danger, the prudent thing is to go to God and take refuge in his truth and love. Because God has all of the answers. And he has promised that he wants the best for me. Those who simply don’t take the time and effort to evaluate the path they are choosing will miss the danger signs and will pay the consequences. And consequences for bad decisions are never fun. We all know that. Maybe today is a good day to stop and evaluate the road we’re on – looking for danger? Before danger finds us.